The essays in Constructing Identities in Late Antiquity concern themselves with the theme of identity, an increasingly popular topic in Classical studies. Through detailed discussions of particular Roman texts and images, the contributors show not only how these texts were used to create and organise particular visions of late antique society and culture, but also how constructions of identity and culture contributed to the fashioning of 'late antiquity' into a distinct historical period. 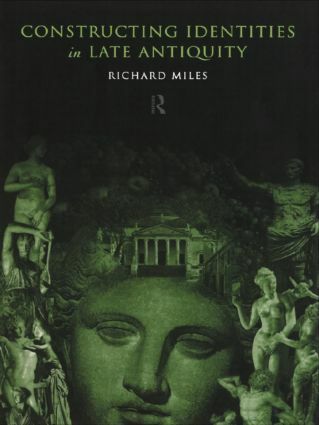 Richard Miles is a Research Fellow in Classical Studies at the Open University, and a Teaching By-Fellow and Director of Studies in Classics at Churchill College, Cambridge. He is currently working on a book on text and authority in the late antique North African church.